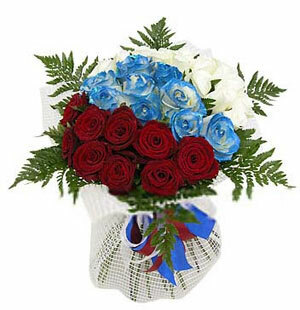 18 red roses, 18 blue roses,18 white roses. greenery surrounded by a circle packing. Expression of romantic love.